Bring the party along with Wright Party Bus & Limousine. We service Dayton, Columbus, Cincinnati, Northern Kentucky, and are ready to move your party in style! Planning and executing your special day comes with a plethora of stresses and pressure. 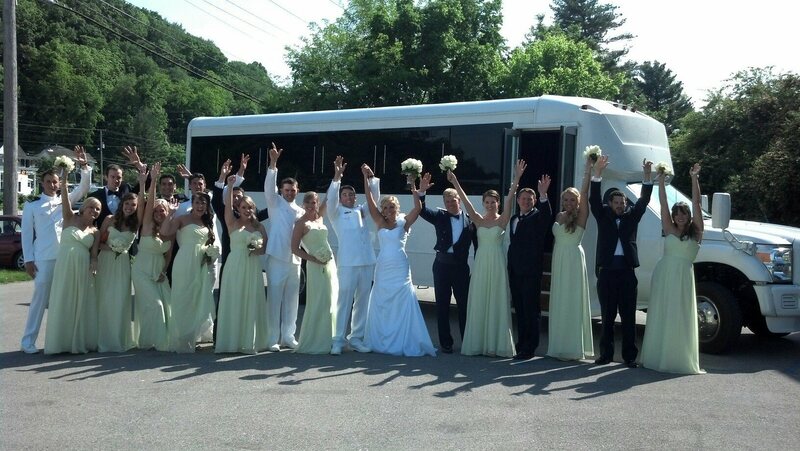 Wright Party Bus will take care of scheduling so that you don’t have to worry about it. Our spacious luxury buses and limo’s will let your stretch out and relax, the Wright Party Bus & Limo will get everyone to the church or Dayton reception hall in comfort. Craft breweries are now a staple in the Dayton area. At Wright Party Bus & Limousines, we stay in the know about new breweries and about events happening at old favorites. We’re glad to help you customize your brewery tour or figure out the best routes to and from each location. Each and every high school dance should be a night to remember. Wright party busses feature wet bars (stocked with soft drinks, water and juices) and state-of-the-art sound systems (iPod, CD and DVD) that let you customize your playlist to suit the occasion. Plus, you can stream your music across our flat screen televisions and give everyone an immersive experience. Team building can be an energizing experience. Treat your staff to a ride to your corporate event or retreat in a Wright Party Bus. Plush seating and climate control will keep everyone comfortable on the way, and HD TVs and sound systems are perfect for displaying those inspirational videos. Give us a call for a custom quote and for facility recommendations in Dayton to accommodate you and your group. Your last night out in Dayton as a single should be a memorable one, whether it’s dinner and a movie, a day at the spa or a crazy night of barhopping. We’re happy to help with restaurant recommendations or scheduling assistance—just give us a call for a quote. And for those of you who are planning evenings that are more risqué… Wright party busses have built-in dancer poles, so we can arrange for instructional pole classes, or it can serve as a prop for your favorite professional entertainer. Wright Party Busses have TVs, sound systems, fog machines, and disco and laser lights that will take your bachelor party from commonplace to extraordinary. Enjoy an evening out in Dayton without worrying about who’s driving, and let us take care of getting you exactly where you want to be. Wright Party Bus knows the top players and promoters in Dayton, so we can help you get bottle service specials and discounted (or even free) covers. Each of our busses is equipped with state-of-the-art lighting and sound technology, plush seating, and an optional dance pole—so getting to the hottest bars and clubs in Dayton will be a party in itself. If it’s one thing that Dayton residents know, it’s how to enjoy local sporting events. But parking and transportation can be a hassle, so why not let Wright Party Bus & Limousine worry about it? There’s plenty of room on board for all of your tailgating supplies—from folding chairs and portable grills, to all the beer you can consume. On any given night, Dayton has no lack of music to enjoy. Wright Party Bus can do the navigating while you listen to music in style and in comfort on the way there. You can queue up your favorites in our state-of-the-art sound system, and pre-game with beer or wine beforehand without the hassle of long lines at the venue.